So my beautiful friend Antonia from Mac and Cheese! tagged me in this post and it really took me on a trip down memory lane! And have I uncovered some horrors lol! 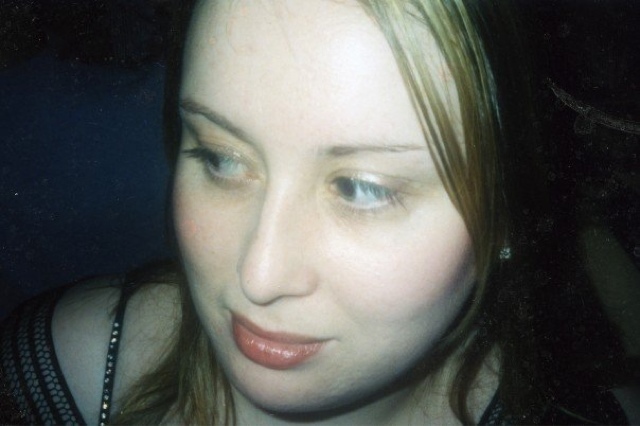 I think I started properly wearing make up (17 tinted moisturisor, Yardley mascara and a Bourjois pale pink lip gloss that smelled of sweets) about age 14. They are the first real things I can remember wearing as well as natural collection lip balms and rimmel eyeshadows and a heather shimmer rimmel lipstick. 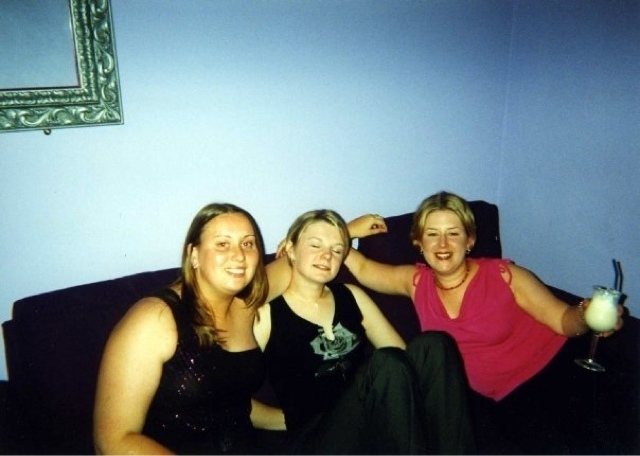 Looking back at photos of when I started going clubbing at 17/18 and despite remembering I wore make up, almost every single photo I found looked like I had none on! I was obviously a less is more girl. Here's a prime example from a night out in my home town back in the UK. That's me in the middle looking pretty much bare faced. But when I look back at the photos all my friends look like that! I blame the dogdy £2 throwaway cameras we scurried into Boots with on a Monday morning to get out pics developed! Thank god for Instagram filters these days! Then all of a sudden I seemed to discover fake tan. Oh yes, I've been tangoed here! This next one is pure class! Aged 18 in a local fashion show-the hair, the make-up, the home made outfit-pure class! 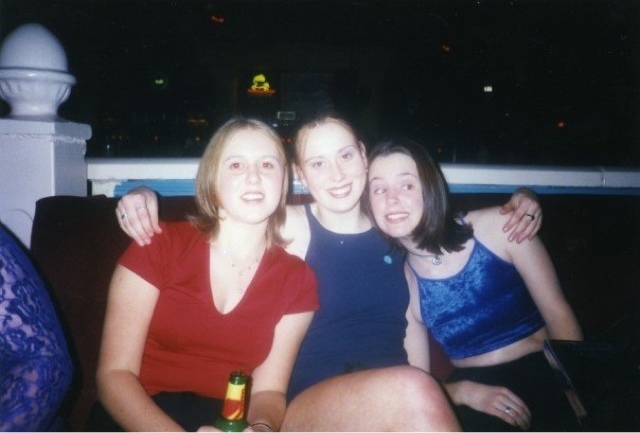 I seem to remember we went out clubbing after the event as well-yes, actually dressed like this! Took hours to get that backcombing out and my hair was full of glitter! 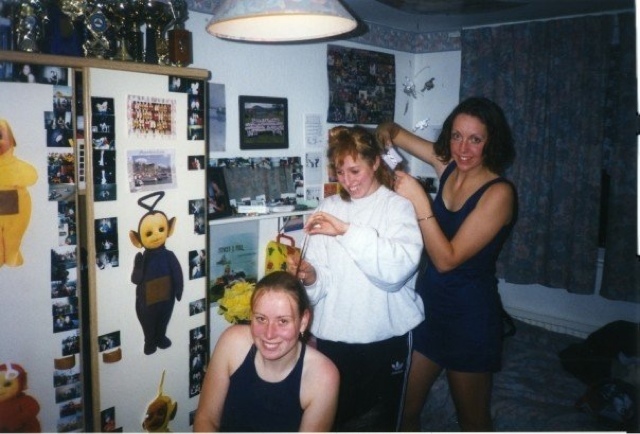 Next up is a hair disaster-yes the days when I thought a fringe might suit me. Love the way it's longer at the ends than in the middle. I also obviously thought sticking crystals on my face was 'the in thing'. 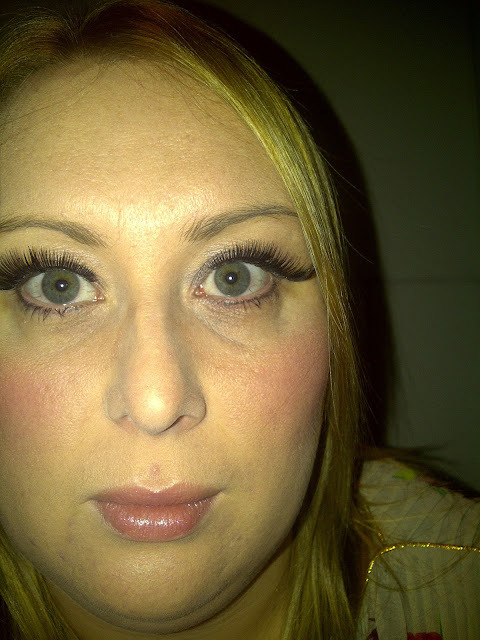 When this photo was taken I really loved it-but look at my lashes...totally bare!! I do however seem to have remembered to apply eyeshadow and lipstick. And everyone has a 'ghost face' pic! 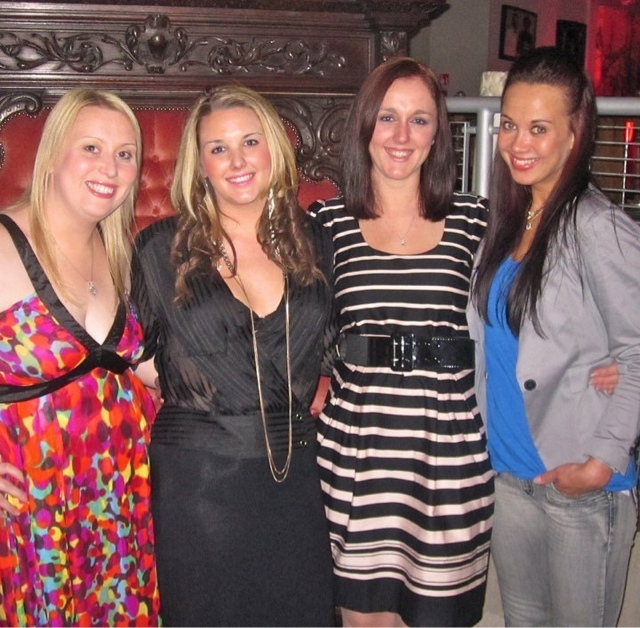 Here's mine, yes that's Stacey the friendly ghost in the middle! This is the most hilarious picture ever! 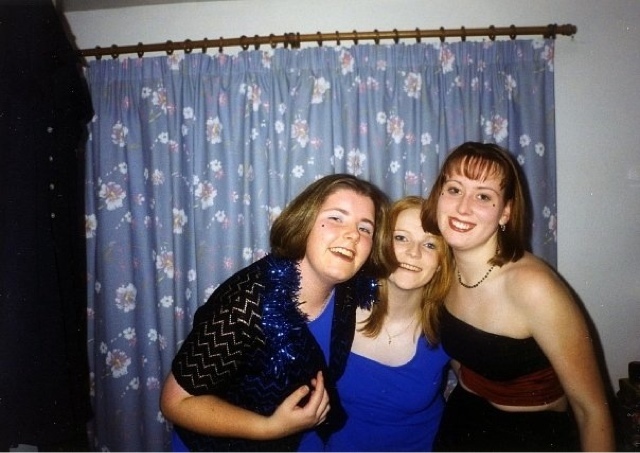 Yes that is me aged 17 getting ready for a night out. What is utterly utterly shameful is that is my actual 17 year old bedroom complete with the teletubbies on my wardrobe. Oh yes we thought we were so cool! Finally this is a photo of me actually with Antonia. 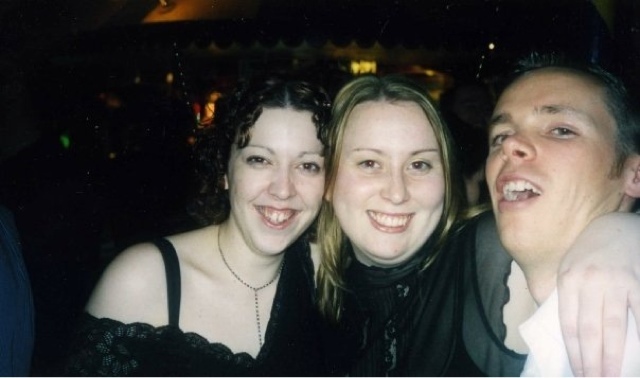 Antonia and I have known each other for years and this is us on a night out in Liverpool a good few years ago-I am on the left and Ant is next to me. Again I barely look like I am wearing make-up and eeeeeeekkkkkk no eyebrows!! I am so obsessed with my eyebrows these days that every picture where they aren't pencilled in stands out a mile! Antonia looks perfect as always! Although somewhat embarrassing I have actually enjoyed writing this post and would love it if you share links to your make up firsts and fails posts because they are hilarious to read!